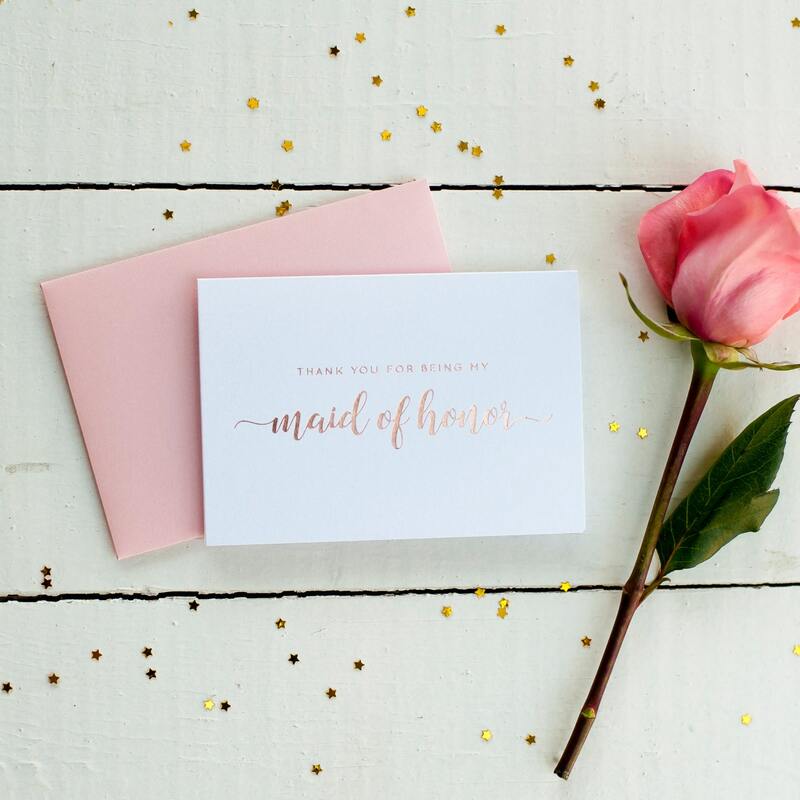 These rose gold foil stamped bridesmaid cards thank your attendants for joining you on your special day in high class style. 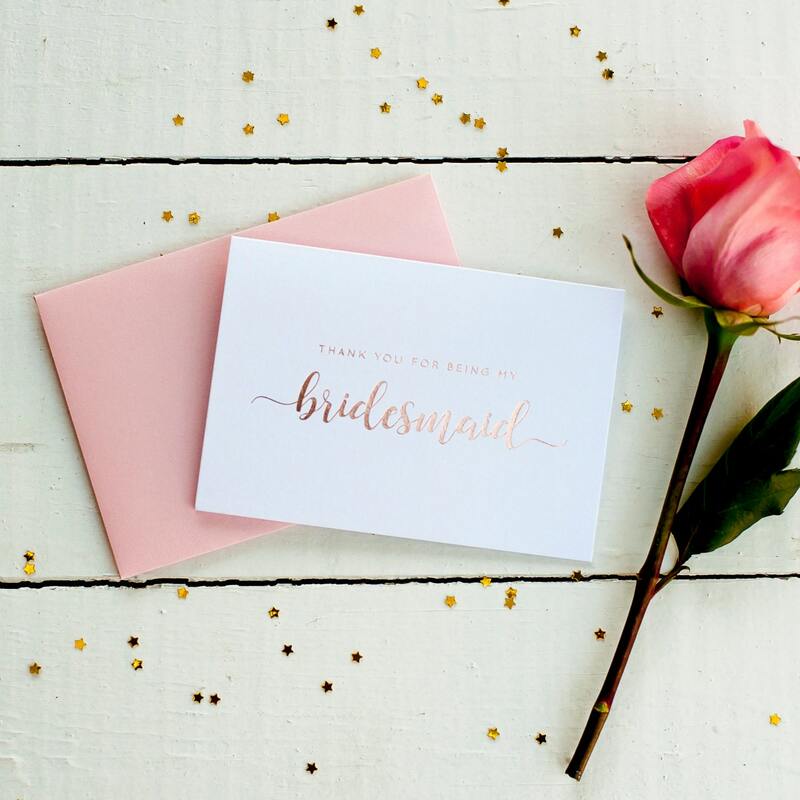 Our authentic rose gold foil stamped cards for your bridal party are printed on luxuriously thick white pearl cardstock with real shimmering foil. The cards are pressed leaving a slight indentation where the foil is, akin to letterpress. No flaking, no scratching - just a beautiful authentic foil imprint. 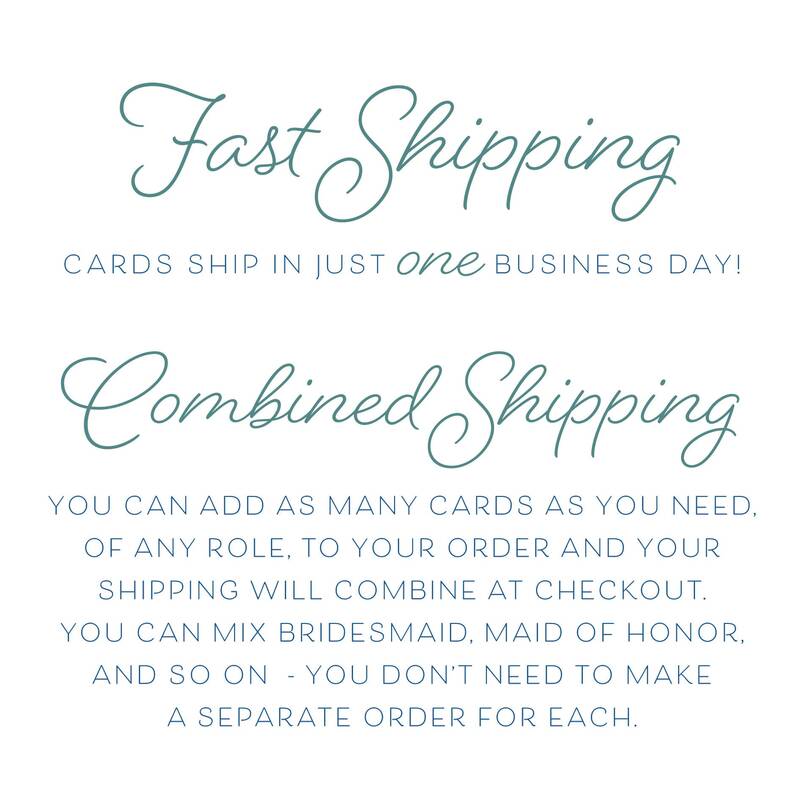 Available in bridesmaid, junior bridesmaid, flower girl, maid of honor and matron of honor. 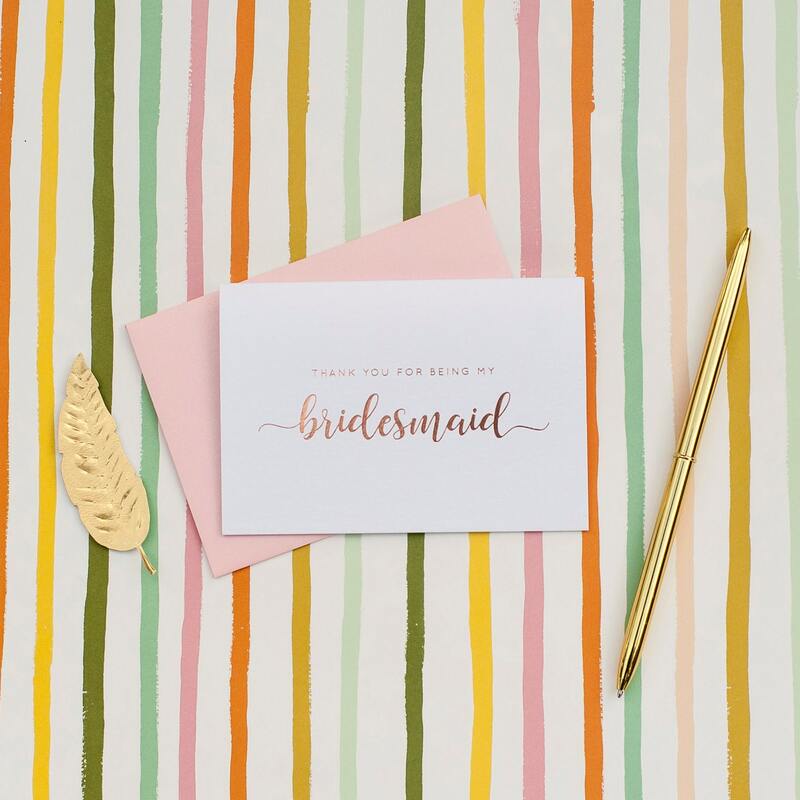 Sending a special wedding thank you to those that stood with you will never go out of style. 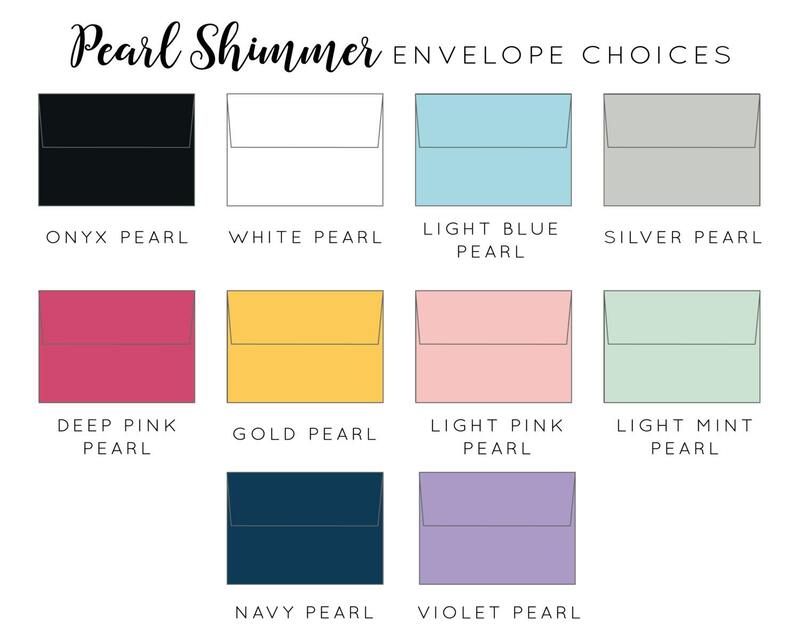 Perfect for your bridesmaid box, these are a great accompaniment to a bridesmaid gift. 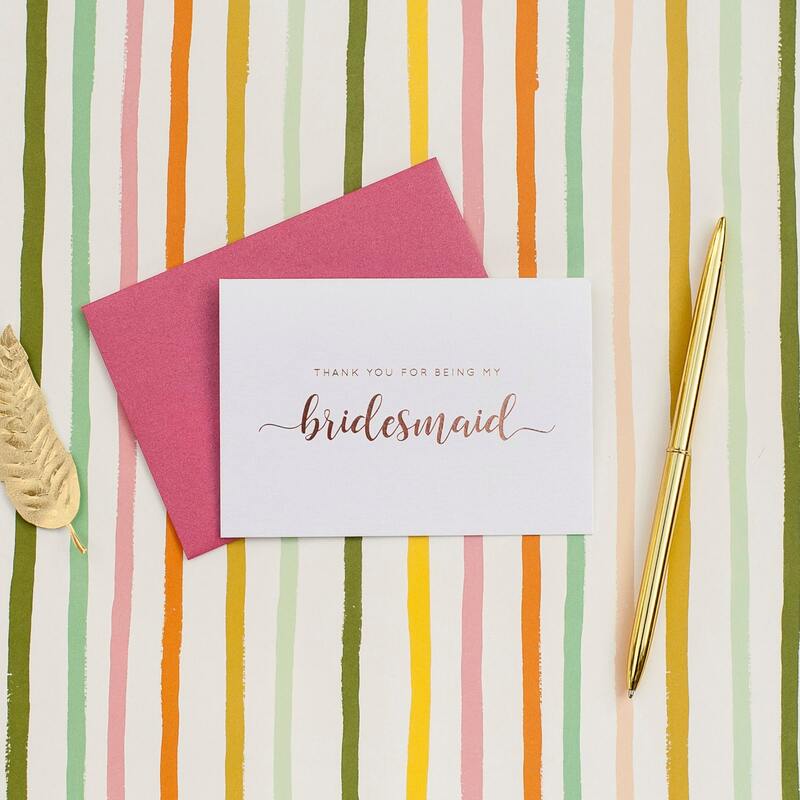 Also a wonderful way to ask "Will You Be My Bridesmaid" - say your thanks from the very start!